Directions: Use 3-4 oz. per bath. Add directly to running water for a calming, moisturizing bath soak. Pat dry to allow for maximum hydration. Looking to boost revitalize and awaken your skin with an all-natural soak? Cannabis Beauty Defined™ Therapeutic Soak presents a high-quality soaking blend that provides the detoxifying experience your body will thank you for. Each mineral and essential oil was selected to invigorate and cleanse your skin, as well as to relax your mind and body. 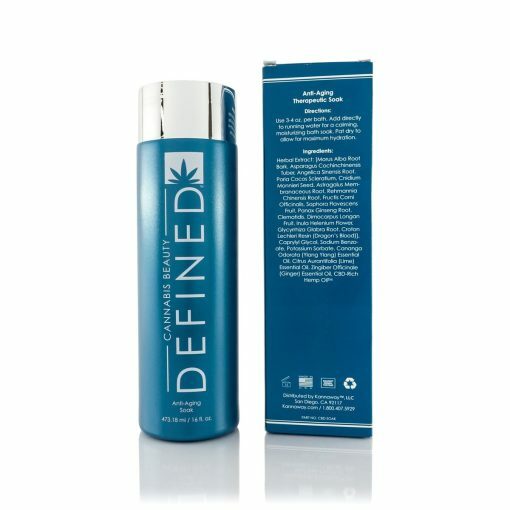 This therapeutic soak contains a formula featuring full spectrum Hemp oil and Bi-Bong™ that rejuvenates and refreshes after every use. 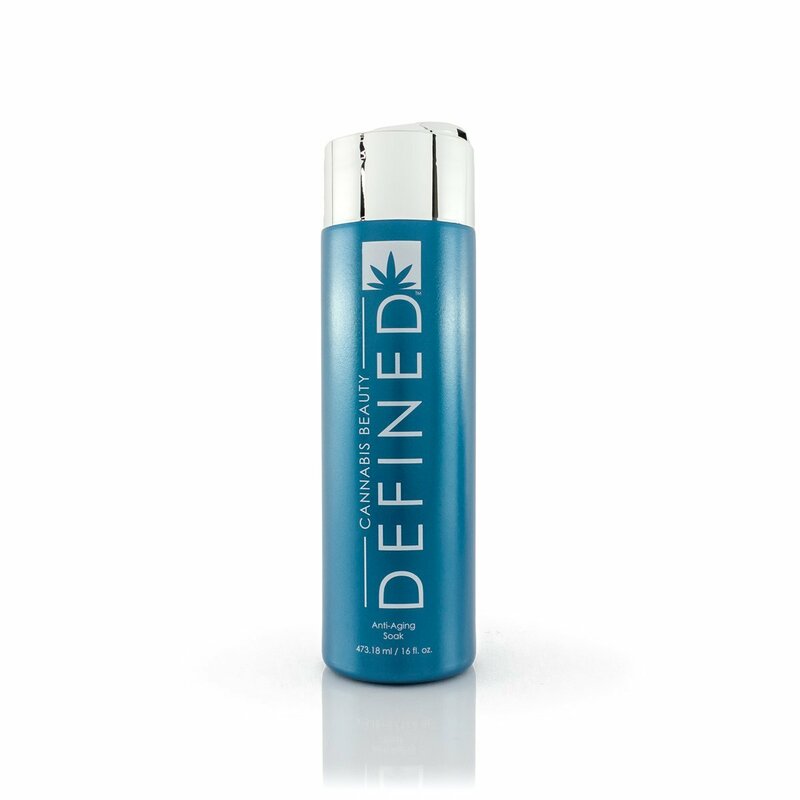 Cannabis Beauty Defined™ Therapeutic Soak is one of the best soaks available to enhance your bath experience and promote healthier skin without harsh chemicals or additives. 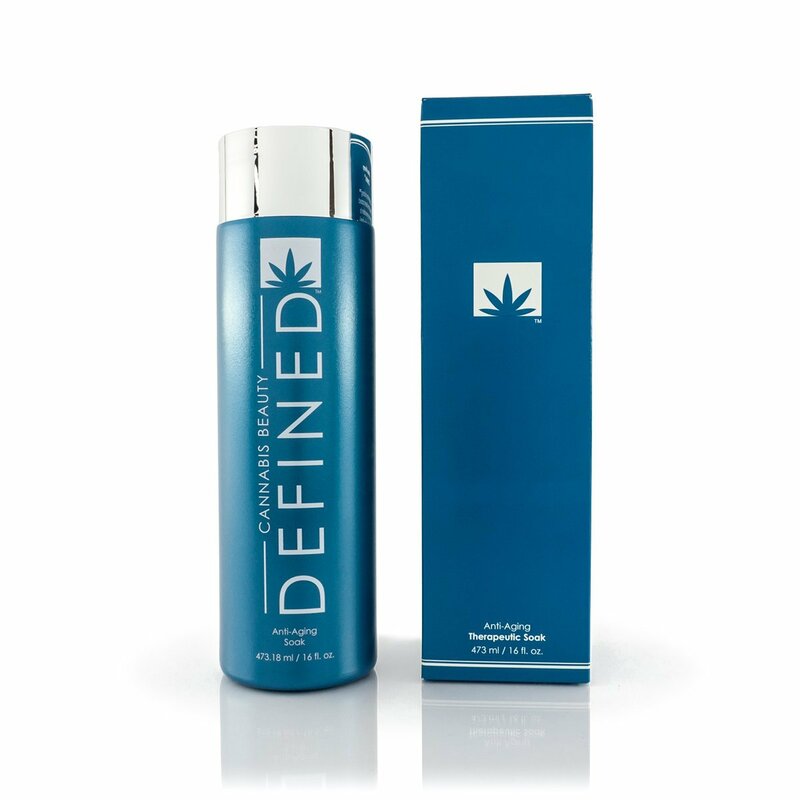 Cannabis Beauty Defined™ Therapeutic Soak is designed to penetrate the skin with essential oils and botanicals to help boost your skin’s vitality the natural way. 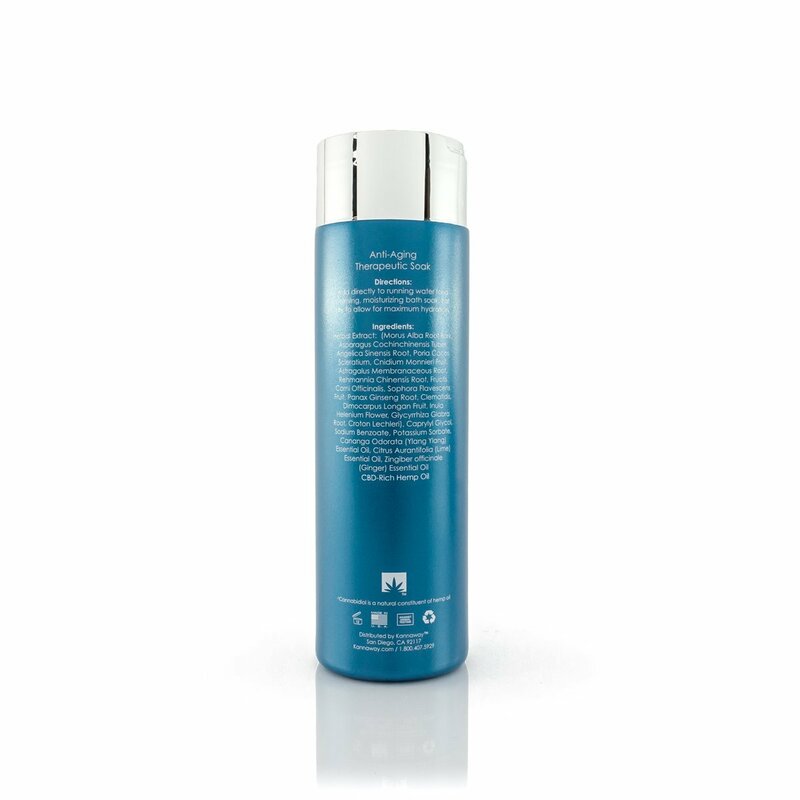 The all-natural hemp oil contained in the therapeutic soak helps to pull toxins from the body which leave your skin feeling silky smooth and healthy. This soak is great for just relaxing your mind and body, or if you need to relieve achy muscles and joints. You can even add Defined Therapeutic Soak to your foot bath to soothe and rejuvenate your feet after a long day of work. Cannabis Beauty Defined™ Therapeutic Soak contains all-natural hemp derived from Austria which is grown on non-GMO fields and tested thoroughly to ensure the hemp remains as natural and effective as possible.